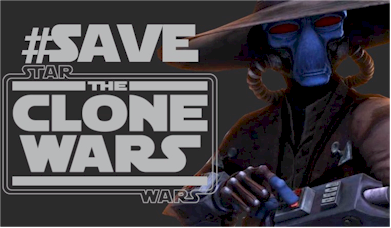 Save The Clone Wars: More Clone Wars Bonus Content Synopsises Revealed? More Clone Wars Bonus Content Synopsises Revealed? More Bonus Content rumors (possibly spoilers) were reported by Jedi News in the post "Star Wars The Clone Wars: More The Lost Missions Story Synopsis." 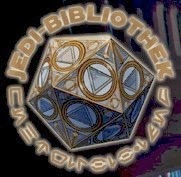 Jedi News reports the news from another the German language website, http://jedi-bibliothek.de/. Once again, possible spoilers ahead, if the rumors prove to be true. The following is the translation provided by http://jedi-bibliothek.de. Jedi Master Sifo-Dyas died under mysterious circumstances years ago. When a secret Jedi mission accidentally finds his lightsaber, Master Yoda, Obi-Wan Kenobi and Anakin Skywalker investigate Sifo-Dyas’s death again. To keep them from uncovering the Sith conspiracy, Darth Sidious orders his servant Darth Tyranus to erase all traces. Yoda is deeply unsettled when he hears the voice of his deceased friend Qui-Gon Jinn in his head because he knows that not even a Jedi can speak to the living from beyond the grave. The Jedi Council is concerned about Yoda’s behaviour and wants to examine him further. But with the help of Anakin, Yoda can escape from the hospital and he sets out to find the origin of the voice by himself. This info lines up with the previous information posted in Bonus Content Episode Titles and Synopsises Revealed?. If these rumors are true, there are at least two more episodes that we do not currently have a synopsis for, Episode 12 "Destiny" and Episode 13 "Sacrifice."